Separated by the Halifax Harbour, Halifax and Dartmouth might mirror each other geographically, but have discrete personalities. Once both cities, the latter was absorbed by the Halifax Regional Municipality (HRM) in 1996. The HRM is the capital of Nova Scotia, boasting a population of approximately 400,000 in its metropolitan area. Its vibrant nightlife and drinking scene is heavily influenced by the number of universities in its urban core. Across the harbour, connected by two suspension bridges and passenger ferries, lies the former city of Dartmouth, now a community with a population of 67,000. Compared to Halifax, the downtown Dartmouth area is much less developed and, inevitably, less lively as a consequence. But, just as regeneration is dramatically transforming some of London’s most squalid areas, this is rapidly changing. Ten years ago, a Dartmouthian would endure disdain and mockery from Haligonians for living in ‘Darkness’, the uncomplimentary moniker applied to the ‘other’ community across the harbour. In recent years, however, perceptions have been noticeably shifting. Dartmouth’s transformation is assisted by the emergence of several local businesses in the guise of restaurants, coffee shops, record store/barber shop hybrids and, most relevantly, an excellent taproom. All within walking distance from each other in the heart of the downtown area, these facilities are drawing people in from across the harbour to see what all the palaver is about. Some of these businesses were suddenly awarded placements on ‘best of’ in the Halifax Readers' Choice Awards from the popular local independent newspaper, The Coast. The 2016 list has yet to be finalised, but many of these venues haven’t been operating long enough for consideration in previous years. In tandem with cheaper rent, Dartmouth is now an attractive prospect for launching a new business. 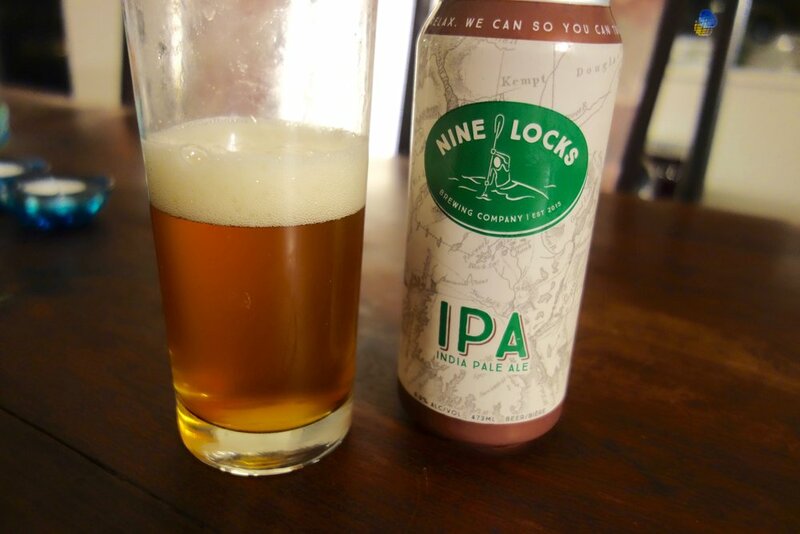 It’s hardly surprising that several new breweries have gone from their establishment to whirlwind success in a matter of months; Nine Locks Brewing Company epitomises this. Since opening in January 2016, they’ve been frantically brewing to supply the Nova Scotia Liquor Corporation (NSLC)’s government-owned stores, private boutiques and kegs to a number of local businesses. Nine Locks launched straight into canning and sell in 473ml tins- they’ve also put enough forward planning into their business to cater for growth and the capacity to keep up with surging demand. Founded by two cousins, Shaun and Danny O’Hearn, they came into craft brewing with a proven background in the beer industry; the former is owner of a popular restaurant and bar in busy downtown Halifax, Your Father’s Moustache, alongside the Rockbottom Brewpub located beneath the main bar. 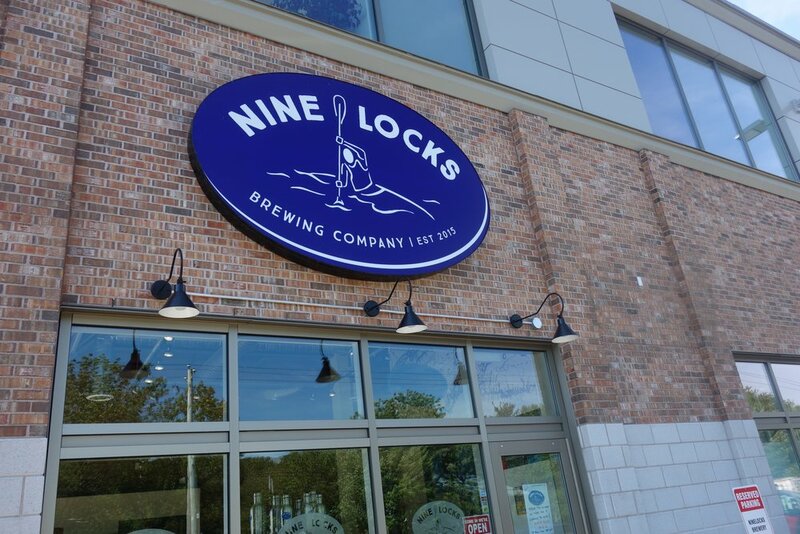 The Nine Locks' site is about 7,000 square feet (650 square metres) with a good-sized bottle shop and growler station abutting the shiny new brew house. They’re drawing in a range of beer drinkers, mostly locals who have developed a palate for their superbly refershing IPA, which has a dry bitter sting rounded off with juicy citrus and floral notes thanks to hopping throughout the boil. 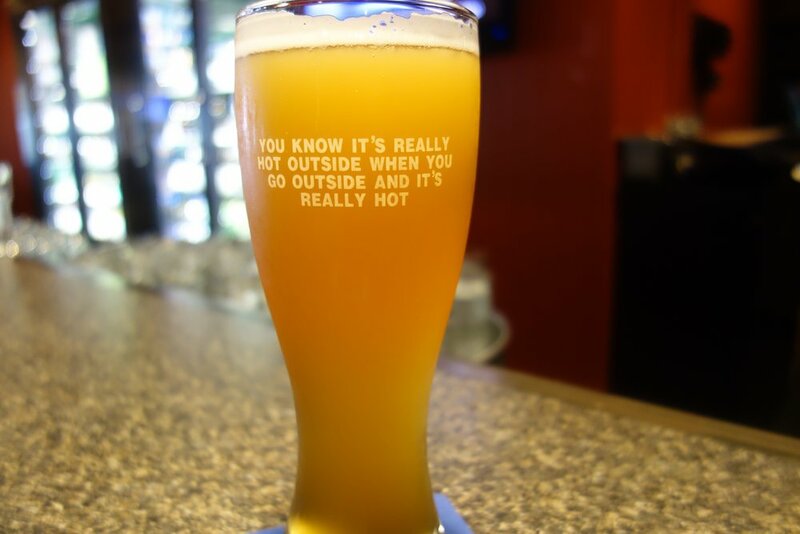 Their Dirty Blonde has proven just as popular and is a North American style wheat beer, using Canadian wheat and barley for a smooth yet effervescent beer with nice bready notes and a clean finish. Another Dartmouth brewery success story is Spindrift Brewing Co, whose beer appeared on NSLC shelves in July 2015 as the first Nova Scotian craft beer in a can. Like Nine Locks, Spindrift has invested in a brew house that’s ready for further expansion- they’re working with over 3,400 square feet (315 square meters) of production space. They’ve concentrated on lager and invested in Kellye Robertson, a brewer who cut her teeth at Garrison Brewing Company in Halifax, the brewery credited with introducing craft beer to Nova Scotians in 1997. Once again, the new independent breweries are demonstrating a remarkable head for business and foresight in spades. 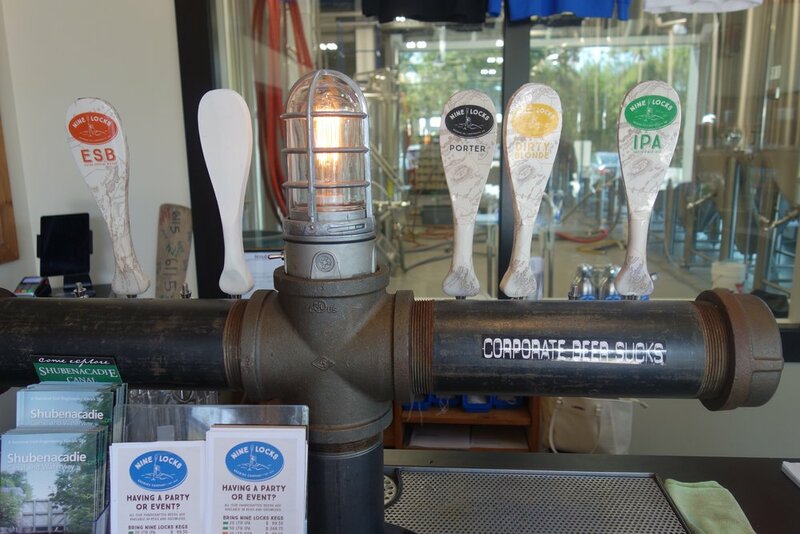 Finally, the nano breweries are also muscling in, proffering their beer in pre-filled growlers at Saturday farmer markets and drumming up a presence via social media. Brightwood Brewery began from such grassroots beginnings, the brainchild of two homebrewers, Matt McGrail and Ian Lawson, and their 1 litre home brewing kit. Their inaugural brew was launched in July 2016 as The Big Lift IPA, which was followed by Smokey the Beer, a smoked honey ale with an accomplished balance between honeyed sweetness and nuances of smouldering campfire in the body. 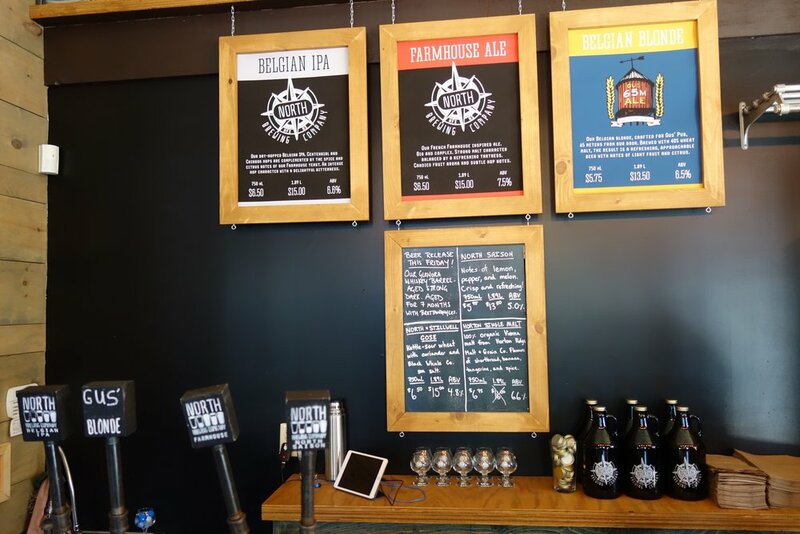 There’s no shortage of beer flowing on the either side of the harbour and even a presence of a retail shop and growler filling station from a Halifax brewery, North Brewing Co, now in downtown Dartmouth. 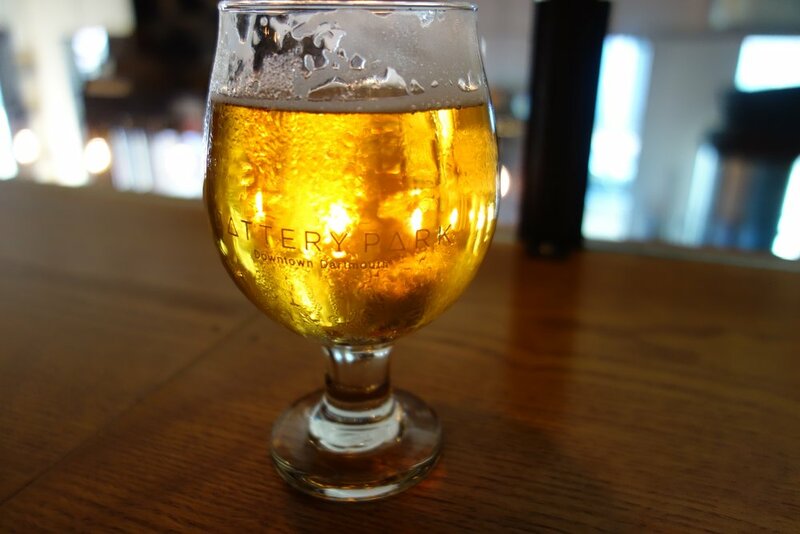 This is courtesy of a new taproom and eatery, Battery Park, which opened in October 2015, piquing a huge amount of interest from beer drinkers across Halifax and Dartmouth in equal measures. Acting as a counterpoint to Halifax’s much loved Stillwell taproom, Battery Park promised to bring a solid selection of local craft beer on 13 rotating taps- one of which dispenses nitro and another cask- and additional taps offering one homemade non-alcoholic soda, one local cider and four additional taps on the outdoor patio bar. Despite the fact that it’s still early days, Battery Park has been hitting the right notes from the beginning. It was a crowdfunded project that aimed to be intrinsically woven into the local community. Its founders were intent on receiving the support of their neighbours- they acknowledged that from their previous successful crowdfunded operation in Halifax, a restaurant called Brooklyn Warehouse, over 85% of shareholders resided in the same postal code as the business. 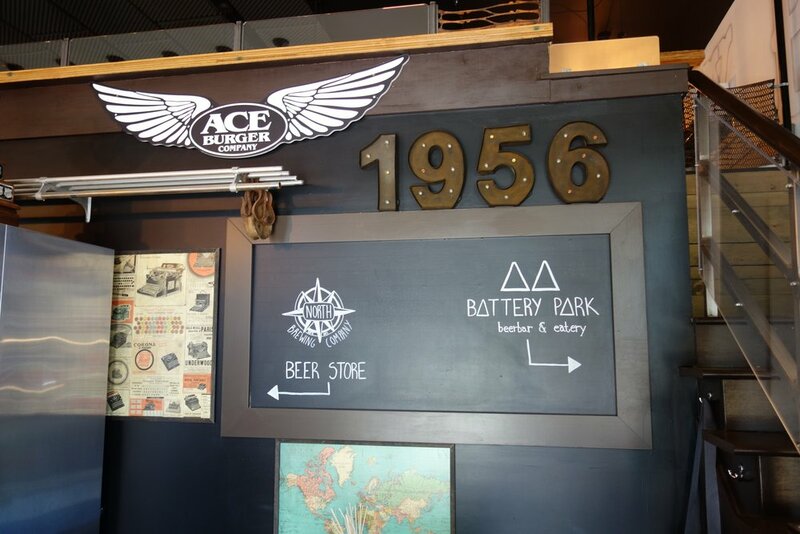 While some skeptical types still need convincing that Battery Park is an accessible venue to meet a friends and grab a beer, it’s evident that the business has been designed to be approachable, comfortable and low-key. Staff are the ideal balance of welcoming and knowledgeable and the beer selection covers a wide array of styles, from seasonals to core favourites from the likes of Big Spruce Brewing, Tatamagouche Brewing Company and Boxing Rock Brewing Co. Brightwood and Nine Locks were frequently represented in September alongside Halifax stalwarts Propeller Brewing Co, ensuring that all tastes were catered for. Inside, the décor is minimal with idiosyncratic flairs of illuminated marquee style lettering and industrial fixings without being painfully minimalist. The outdoor patio is an idyllic retreat in the summer and proved to be exceptionally popular during the hazy summer evenings of 2016. On the whole, it makes for relaxed environs to have a drink or stay for several, whether arriving in a group or pulling up a solo stool at the bar. And the prediction was right concerning the clientele- it’s evident that most are local and known to staff, many enjoying a quiet drink before filling their growler and heading home. While it will take some time for downtown Dartmouth to catch up to the cultural, gastronomic and commercial retail attractions of Halifax, the winds of change are palpable as money is invested into the area- mostly in the form of new build commercial housing. But its fuelling change and the first independent businesses to open in the downtown area have seen locals flock through their doors. Alongside the charming cafes and artisanal eateries, it wasn’t long before something like Battery Park came along. Haligonians should get used to the ferry across the harbour. The hunt for an exceptional drink will undoubtedly lead to Dartmouth, so cast your prejudices aside and embrace the spirit that the province's breweries have already embraced: a unified plight to get every Nova Scotian to drink locally and drink well.